Ori and the Will of the Wisps is the gorgeous sequel to the 2015 release Ori and the Blind Forest. With the sequel, the team has overhauled combat in a major way, but Moon also wanted to add an entirely new mode for players as well. Early in development, the team experimented with a co-op mode, but struggled to make this style of game fun. The studio felt like players were either running off on their own or waiting around for their co-op buddies help. Moon Studios experimented with several ways to make co-op work, but Metroid-like games don’t lend themselves well to multiplayer. After spending some time with the Spirit Trials, I’m intrigued. I don’t usually go for speedrun challenges, but Ori’s controls are tight and its platforming feels great, so speedrunning these levels is fun. Moon’s matchmaking seems to do a good job pairing you with players of a similar speed, which encourages you to get faster. You don’t have to participate in Spirit Trials, but completing these challenges at least once during the main game earns you extra rewards and items. 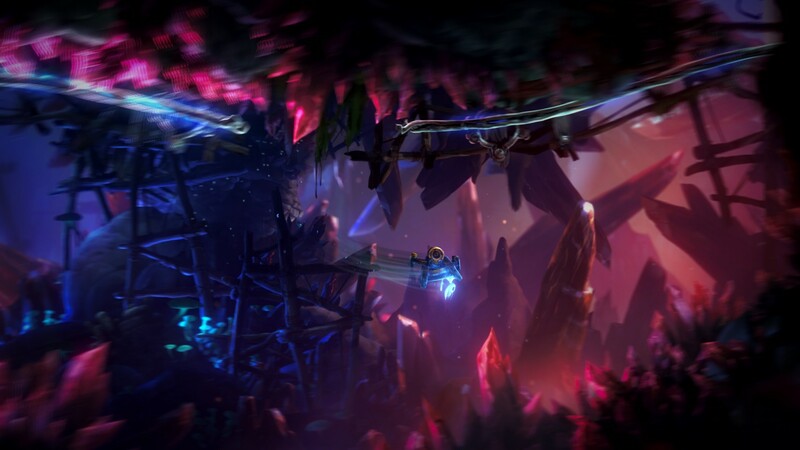 Ori and the Will of the Wisp doesn’t have a release date yet, but I’ll be ready to speed through it when it comes to Xbox One and PC sometime next year.